Updated on 2015-08-04T18:57:21+00:00, by Paul Gailey. Mon-Friday 8am–8pm, Sat 9am-4pm. Calls to 03 numbers cost no more than a national rate call to an 01 or 02 number and will count towards any ‘inclusive minutes’ in the same way as 01 and 02 calls. Calls may be recorded. Apply for your icount current account with MasterCard. 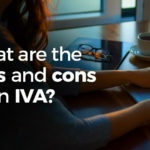 What are the pros and cons of an IVA? 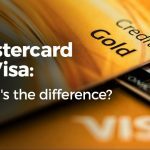 Mastercard vs Visa – What’s the difference? *Subject to terms and conditions. Accounts available to applicants aged 18+ years and being resident in the UK and/or businesses being based in the UK. Accounts are only available to customers whose identification has been verified. The icount card is issued by APS Financial Ltd (AFL) pursuant to licence by MasterCard International Incorporated. AFL is authorised by the Financial Conduct Authority under the Electronic Money Regulations 2011 for the issuing of electronic money. Cards are serviced by Advanced Payment Solutions Ltd (APS) which operates the card on behalf of AFL. AFL & APS registered address is 6th Floor, One London Wall, London EC2Y 5EB. Registered in England and Wales under company numbers 06029941 & 04947027 respectively. Credit facilities are provided by APS subject to affordability and prepaid account being in good standing. APS is authorised and regulated by the Financial Conduct Authority for consumer credit activities (Registration No. 671140). Creditbuilder (logo) and Debit Protect (logo) are registered trademarks of APS. Creditbuilder is only available on monthly pricing plans. MasterCard, the MasterCard Brand Mark and Tap & Go are registered trademarks of MasterCard International Incorporated. The Post Office® and Post Office symbol are registered trademarks of Post Office Ltd. Apple and the Apple logo are trademarks of Apple Inc., registered in the U.S. and other countries. App Store is a service mark of Apple Inc. Android is a trademark of Google Inc. Google Play is a trademark of Google Inc. Data charges from your mobile network provider may apply when using the Cashplus Mobile App. ◊Call charges are 10p per min from BT landlines. Call charges from other networks and from abroad may vary. Calls may be recorded. The Financial Services Compensation Scheme does not apply, but in accordance with the Electronic Money Regulations 2011, all funds are safeguarded in a separate high street bank account.